Travelling with a child? Many of our DriveNow cars come with a booster seat* included to make life a little easier and help you comply with driving regulations. The DriveNow booster seats are included in BMW i3, BMW Active Tourer, BMW X1, BMW 1 Series, BMW Active Tourer and the BMW convertible cars. These are for use with children between 3 and 12 years old and are tested and approved to ECE R44 / 04 standards. Our booster seats are approved for children between 15 and 36kg. All our booster seats are specially shaped to be comfortable, even on longer journeys, and are padded. The booster seats in DriveNow cars are easy to use and completely safe. The booster seat may already be installed in most of our cars. Otherwise, they are really easy to install! If you can´t find your booster seat, it may be in the trunk of the car. 1. Place the booster on the car seat. 2. These are front-facing booster seats, so make sure the arm rests are pointing towards the windscreen! 3. 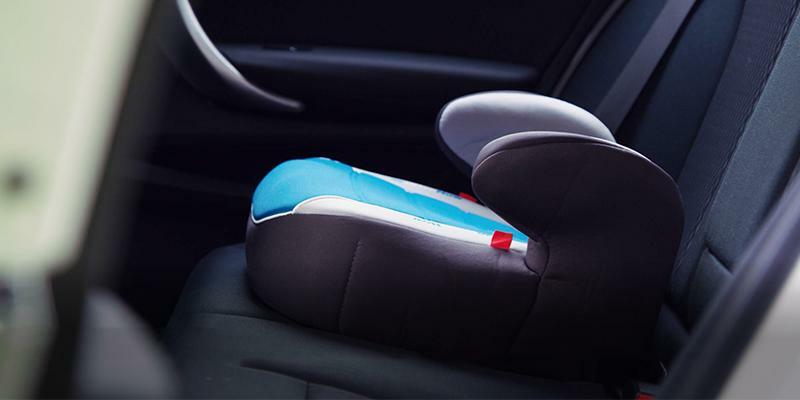 The seats should also only be used in the rear of the car, so take care when installing the booster seat. 4. Once your child is seated, make sure you put the seatbelt on as you normally would – it should click into place. 5. The diagonal part of the belt goes over the shoulder and over the armrest of the booster seat. 6. Make sure the lap part of the seatbelt goes as low across the waist as possible to help make sure your child is sat properly upright and to improve safety. 7. Take extra care to make sure that the belt is properly fitted and not twisted! Once everyone is happy and safe, you can drive away. Have a great trip! 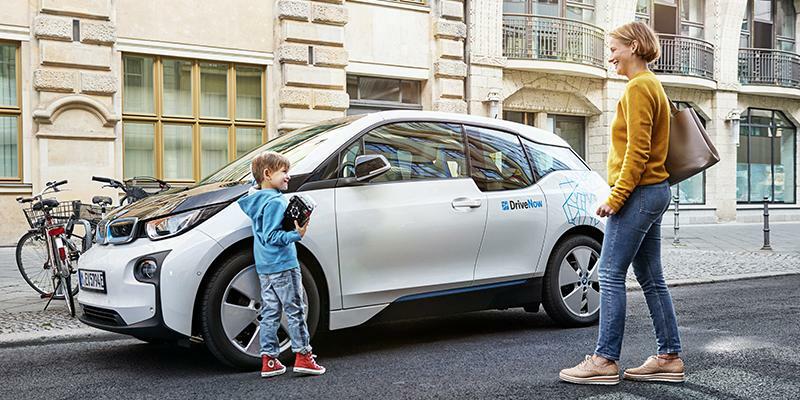 In case you should notice that the booster seat of your DriveNow BMW is missing, please contact our customer service team at 0800 07 07 02 (toll-free, 24/7). * All DriveNow cars are also compatible with Isofix standard booster seats, making it simple to fit in and drive if you decide to use your own baby seat!